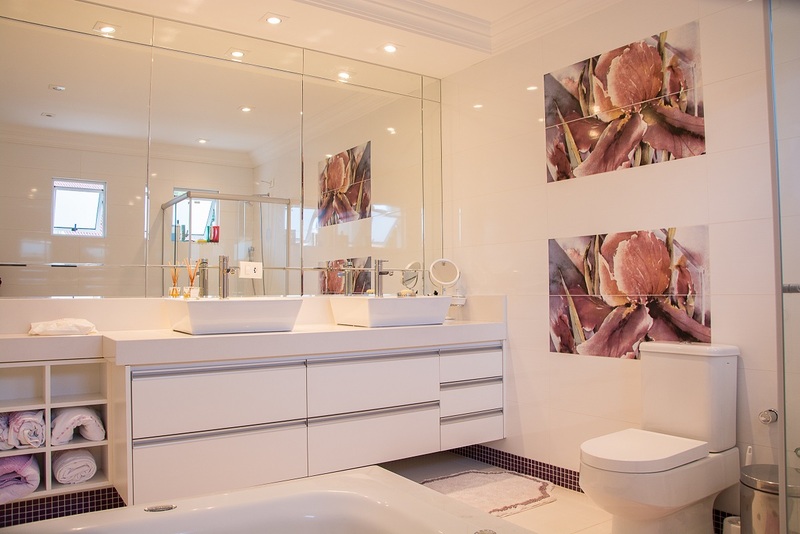 Try this expert advice from hotel managers on keeping bathrooms clean. Whether cozy, sleek or luxurious, hotel baths are the perfect getaway. Now you can transform your bathroom into just such an escape. At Inn-spired Bathrooms, you’ll tour six hotel-inspired baths, garner simple ideas for getting the look you want and learn the cleaning secrets of hotel housekeepers. How do hotels keep those bathrooms so clean? One quick answer is that hotels clean bathrooms every day, even if the same guest is occupying the room night after night. While you may not want to clean your entire bathroom every day, doing small things ? such as wiping down the counters, faucet and sink, and spot-cleaning the mirror ? 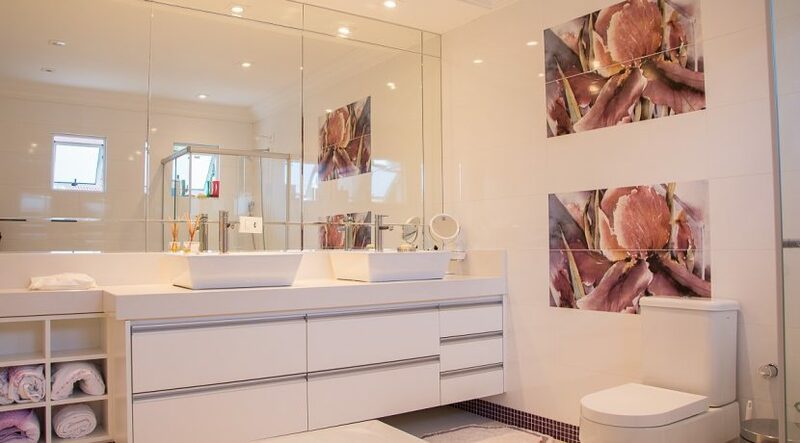 can give your bathroom a daily perk-up. The rest is all in the weekly routine. To get the dirt on the routine, we asked two experts: Jenny Botero, resident manager of the 697-room Crystal Gateway Marriott in Arlington, Va., and Erika Jacso, director of style for the W New York Union Square, in New York City, which boasts 270 rooms. They gave us 10 simple steps for keeping your bath sparkling. On the rare occasion that the W Union Square receives a complaint, “it usually has to do with finding hairs on the tile or floor in the bathroom,” Erika says. Her team’s goal is to make sure that never happens. They work from top to bottom, dusting light fixtures and shelves with micro-fiber cloths before vacuuming floors and crevices. Heating tile and the tub just 10 degrees above the normal air temperature “doubles the effectiveness” of alkaline cleansers, Jenny says. Her staff fills the bottom of the tub with a couple inches of the “hottest water they can draw from the tap” and lets it sit for a few minutes. Erika’s staff also throws hot water over the tiles, shower and tub. Drain the tub, then spray an antibacterial cleaner on tile walls, tub, counters, sink, toilet and floor. Work from top to bottom, starting at the top of shower walls, and spraying down to the tub and inside the toilet bowl. Use a sponge or cloth to spread the cleanser around evenly on tile surfaces. Disinfectants need contact time in order to work. Erika’s team lets the cleanser sit for five to seven minutes inside the toilet bowl and on surfaces. Use a scrub brush or nonscratch abrasive pad to scrub every square inch of the tub and tiles. Both housekeeping experts swear by Mr. Clean Magic Eraser, especially for hard-to-remove gray rings inside the tub. Use clean, dry cotton cloths or rags to thoroughly dry all surfaces. Jenny recommends using color-coded cloths for cleaning ? blue for glass and mirrored surfaces, yellow for the toilet, and pink for tub and sinks. That way, you never make the mistake of wiping off the sink with a cloth that was used to dry the toilet. Spray the mirror and other glass with a glass cleanser and wipe dry. Exit out of the bathroom by rinsing, wiping and drying the floor.